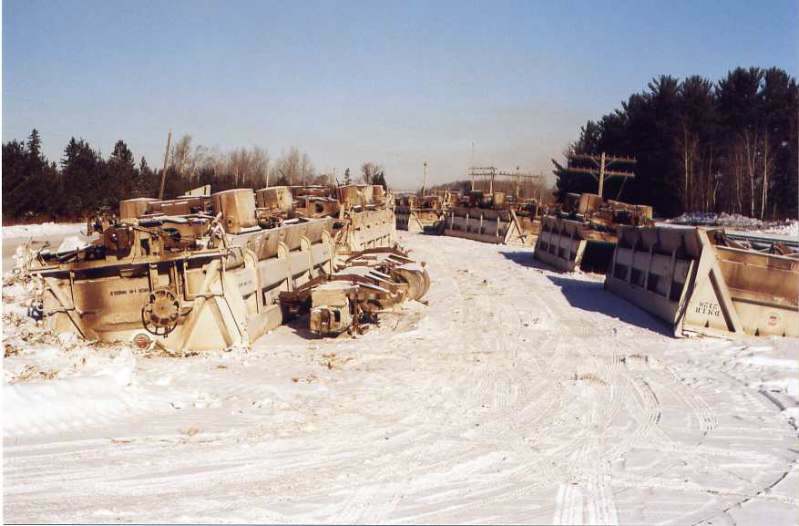 Most of these pictures were taken over the winter of 2003-2004. 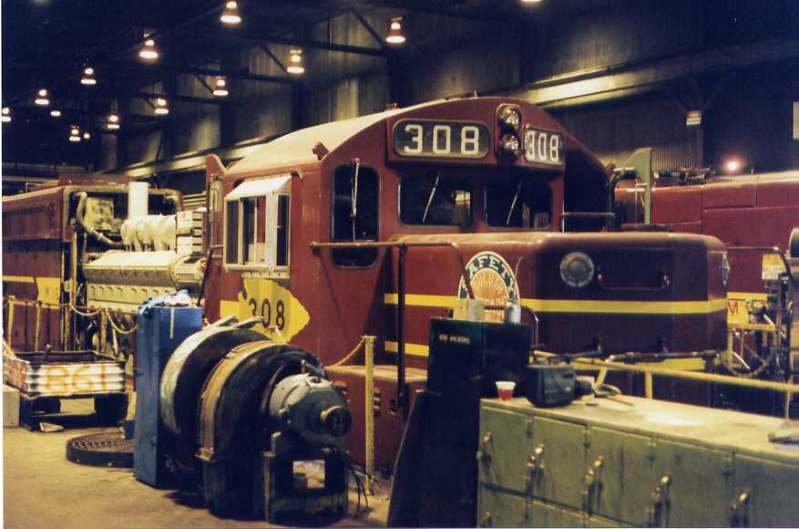 The last of the DM&IR before CN took over operations. The end of the 321, 208, 222, 217 & 204. Click on any photo to see larger. 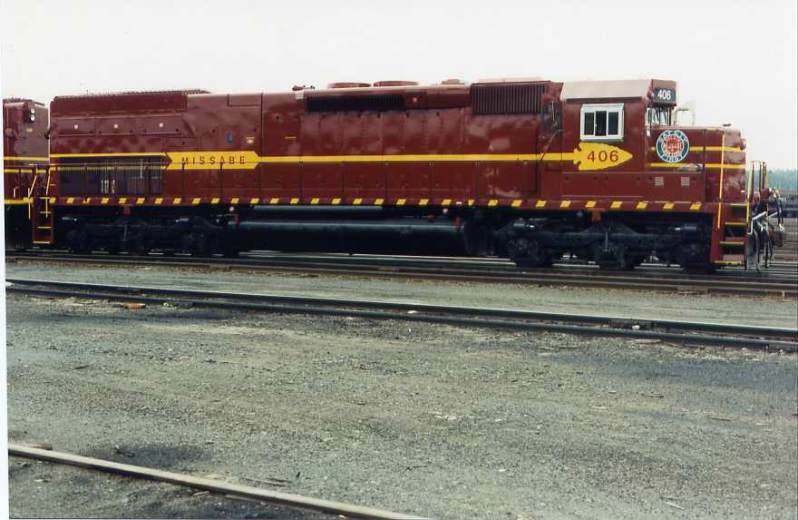 DM&IR 303 at Keenan. 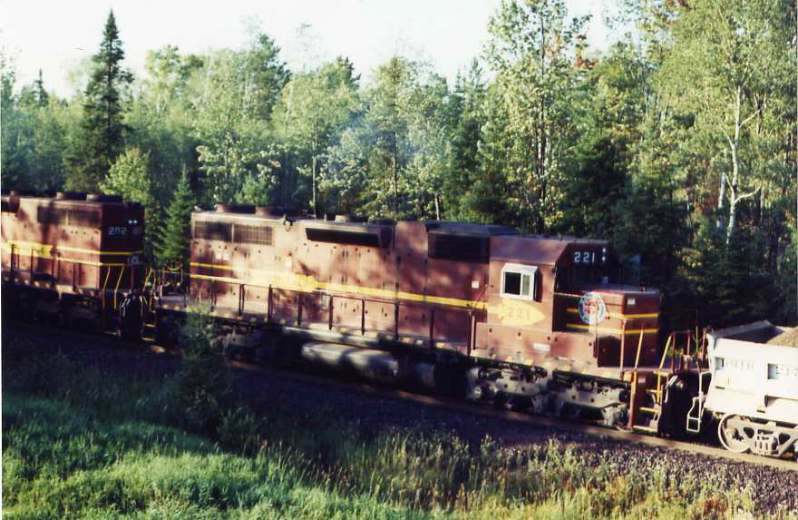 Saved 5 SD 9s as Eveleth mine reopened. Photos 2-04. 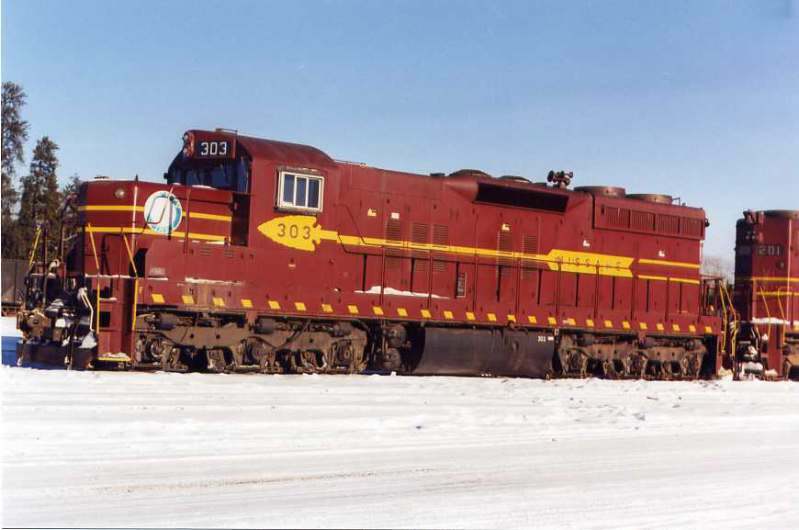 DM&IR 308 is being saved for reopening of Eveleth mine. Photo 9-03. DM&IR The death of 153. Photo 10-99. 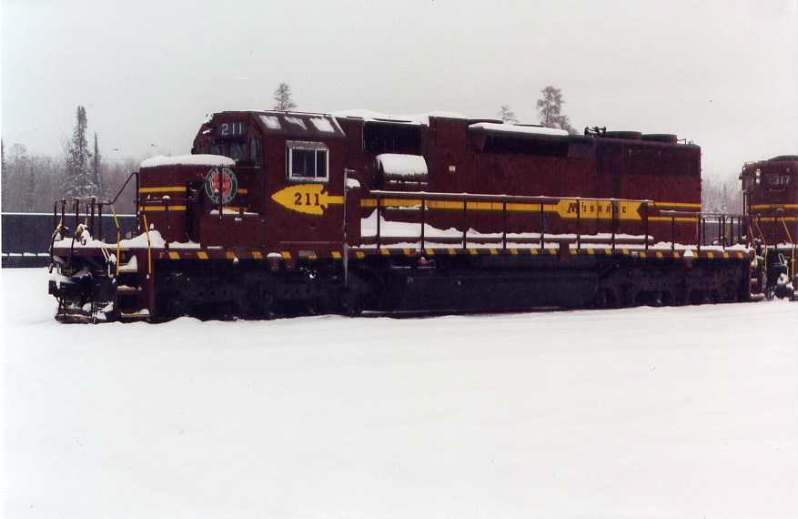 417 one of last new locomotives on DM&IR. Photo 5-04. 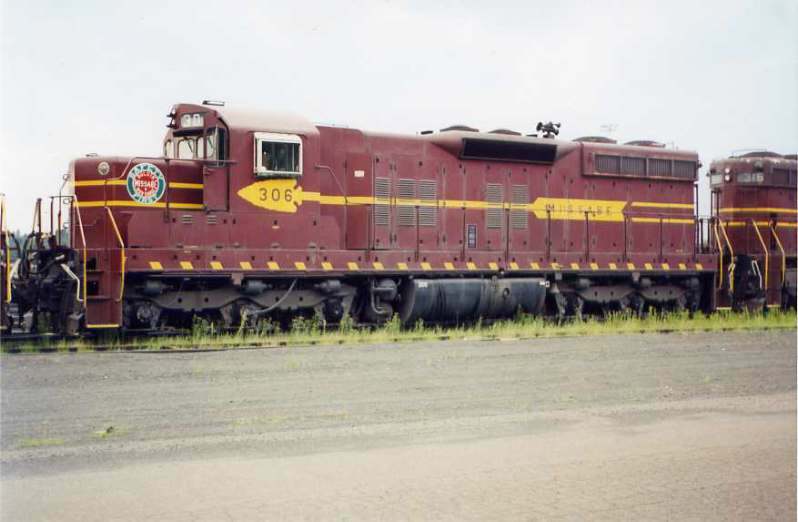 DM&IR 405. 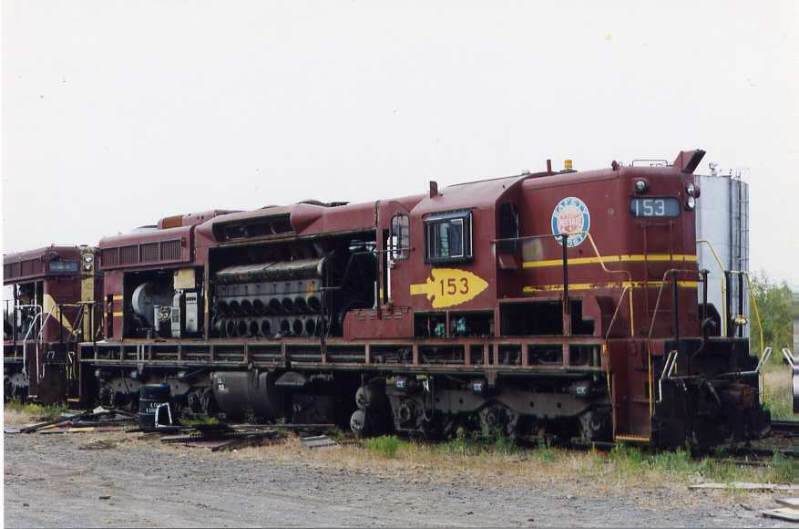 Ex SD 45 SP unit. Photo 5-03. 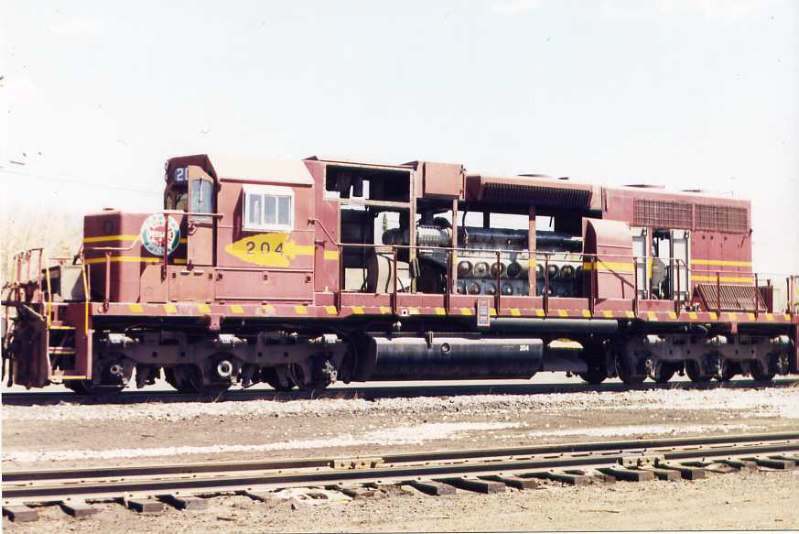 DM&IR last use of 221 at Keenan Yard. Photo 9-03. 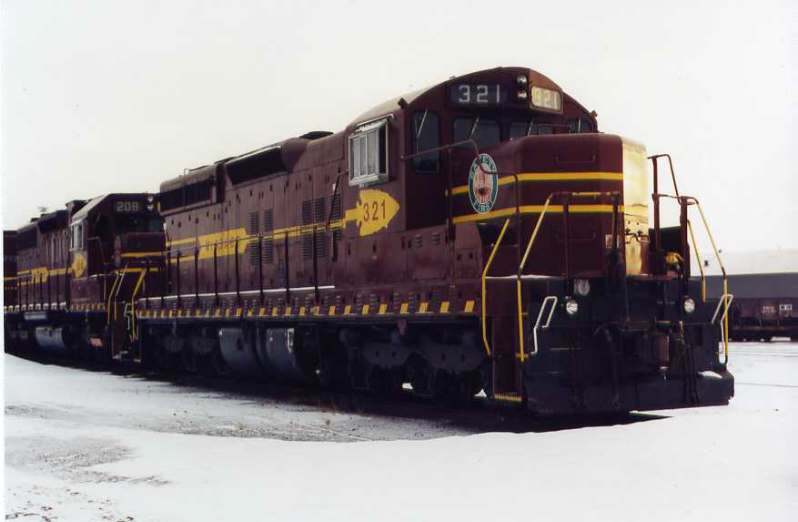 DM&IR 317 back to work and its life saved. Photo 1-04. 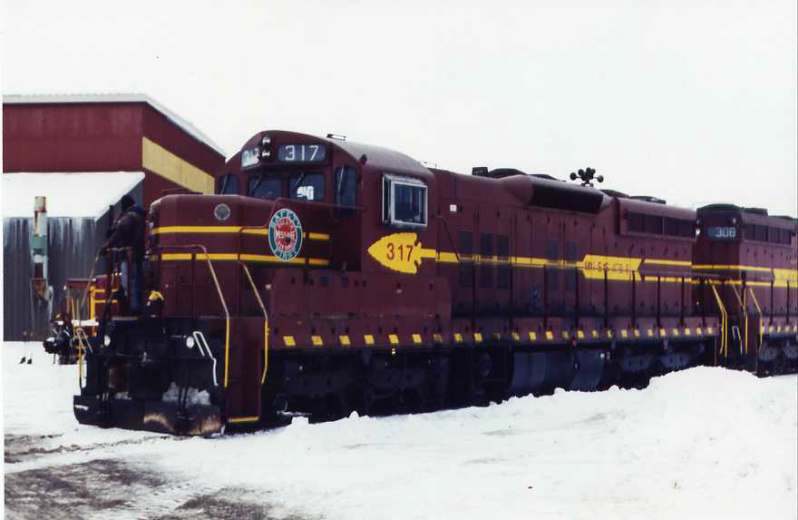 DM&IR goodbye to 153 & 142 as they get scraped. New 400s replace them. 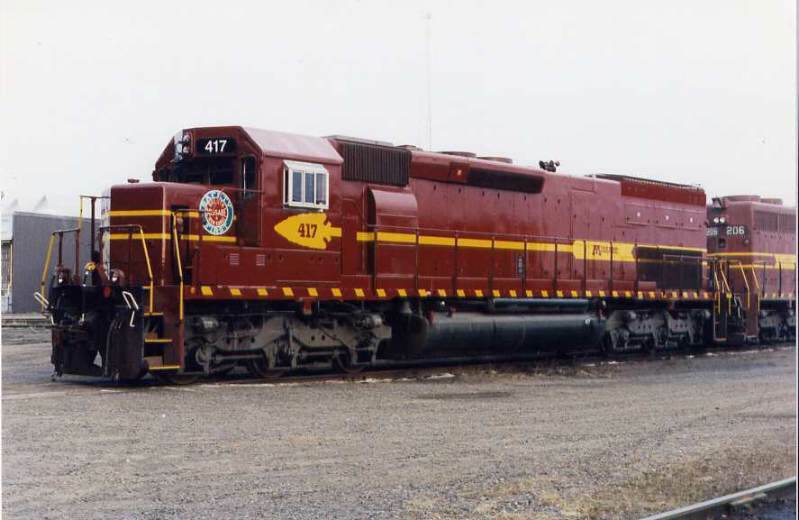 DM&IR 419 was the last big SD 45-2 on DM&IR. At Keenen. Photo 1-04. 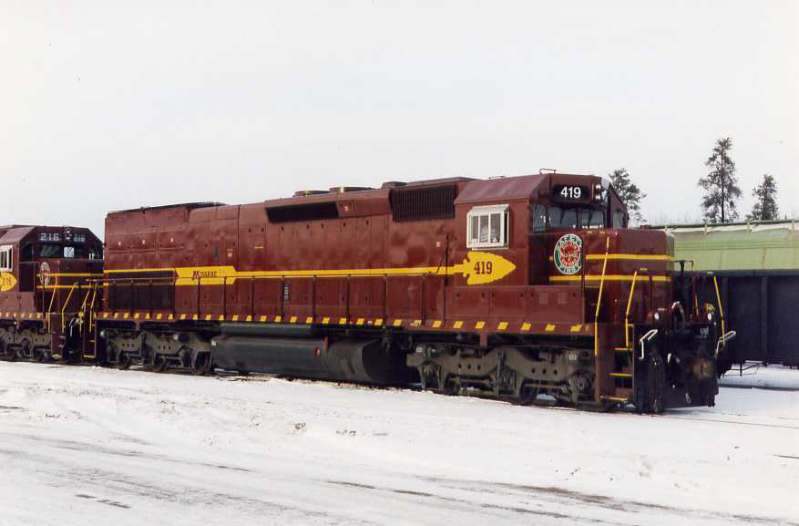 DM&IR 303 in for repairs for reopening of Eveleth mine. Photo 9-04. 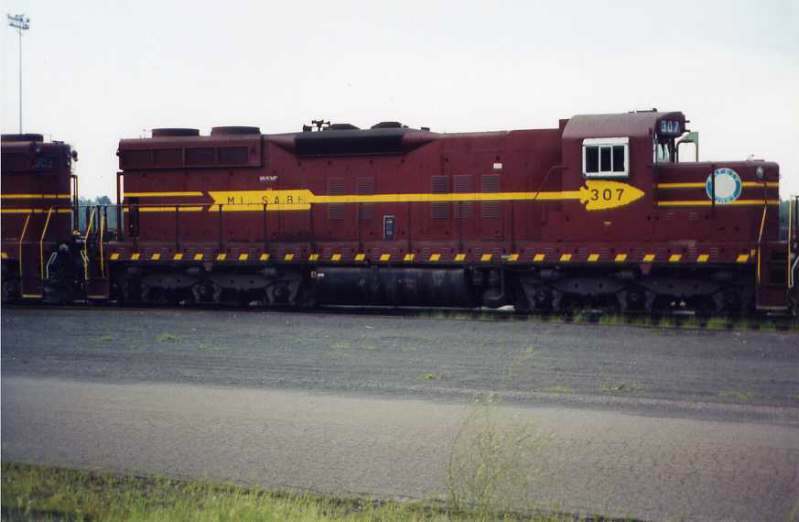 DM&IR 409 at Proctor. Photo 7-02. DM&IR The death of 142. Photo 10-99. 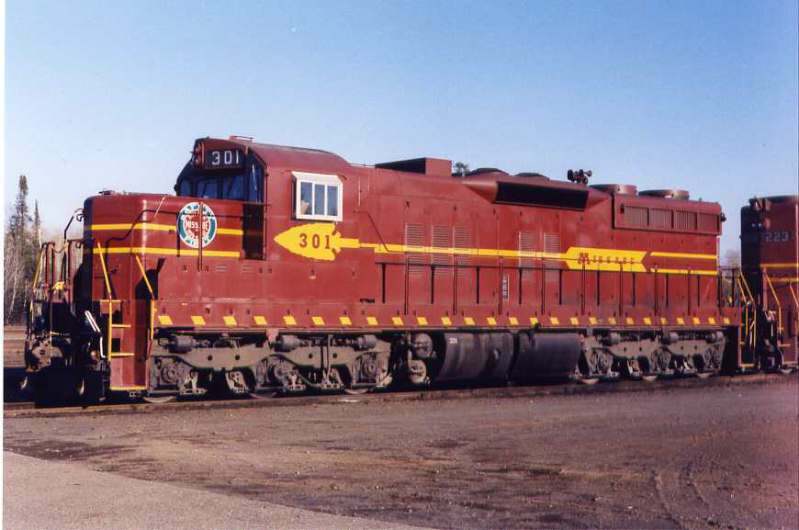 DM&IR 301 the only SD 9 with a Gopher M on the side. Photo 4-03. 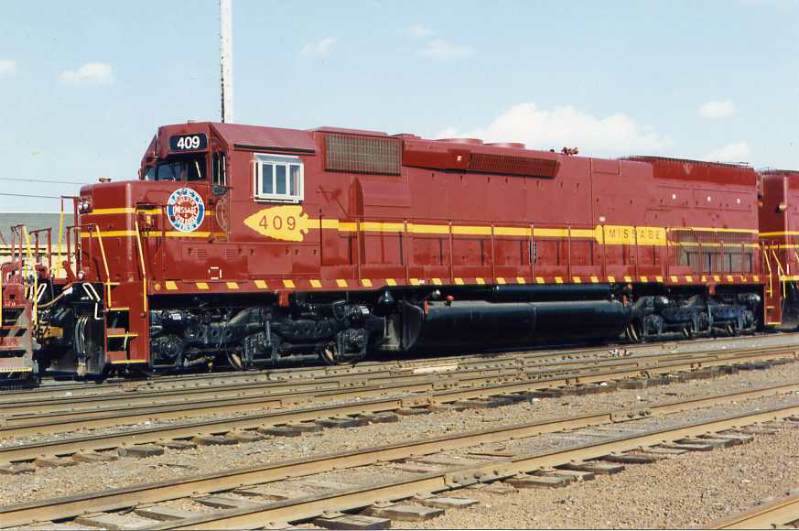 The new 400s are the King Power on the DM&IR. 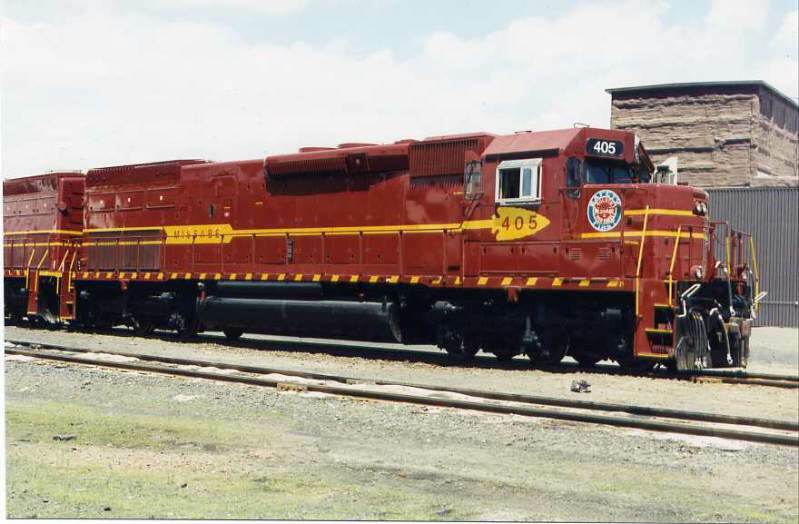 406 Photo 5-04. 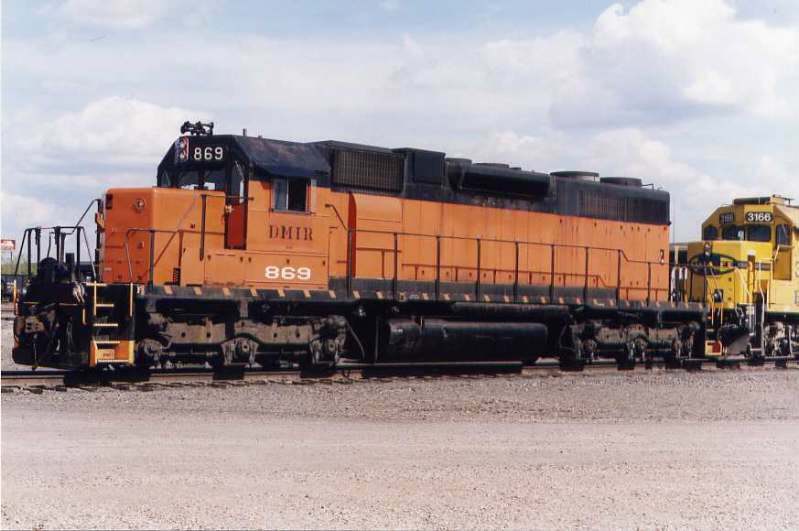 DM&IR gets a new SD 38 from B&LE for leasing to BN&SF. Photo 7-02. 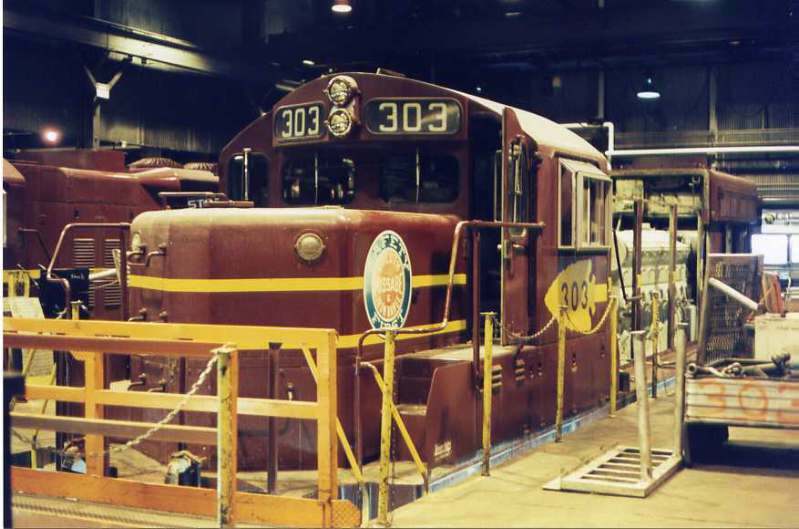 DM&IR 306 no longer in use. 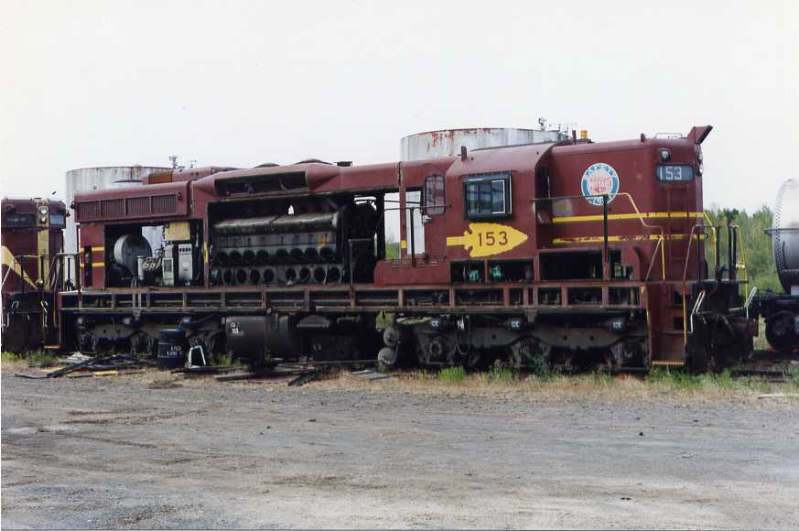 Sold for scrap. 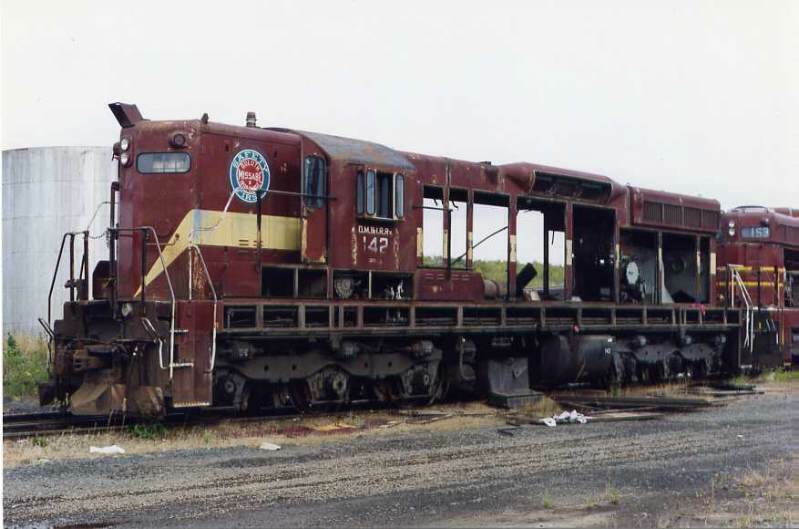 DM&IR 307 is all done sold for scrap. Photo 9-03. 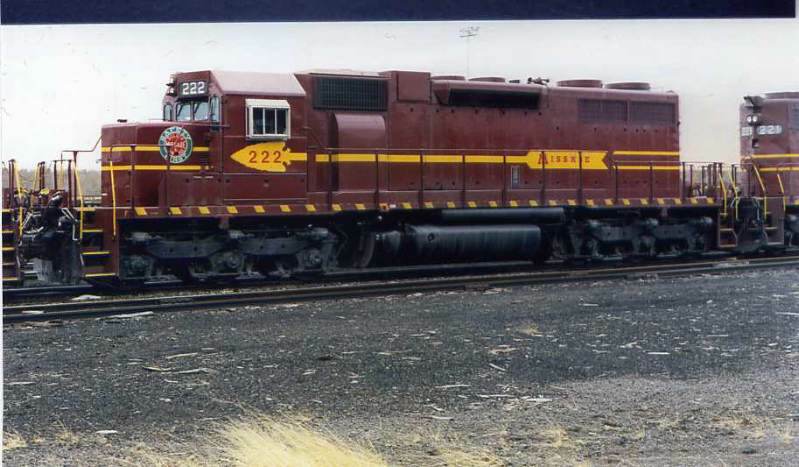 SD 38 222 is all done with work on DM&IR. the Motor was put in 209. 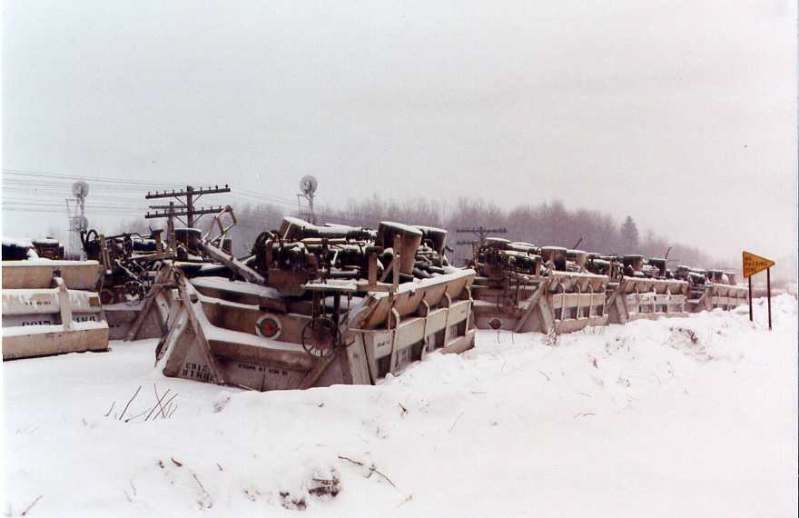 Derailment in a snow storm. 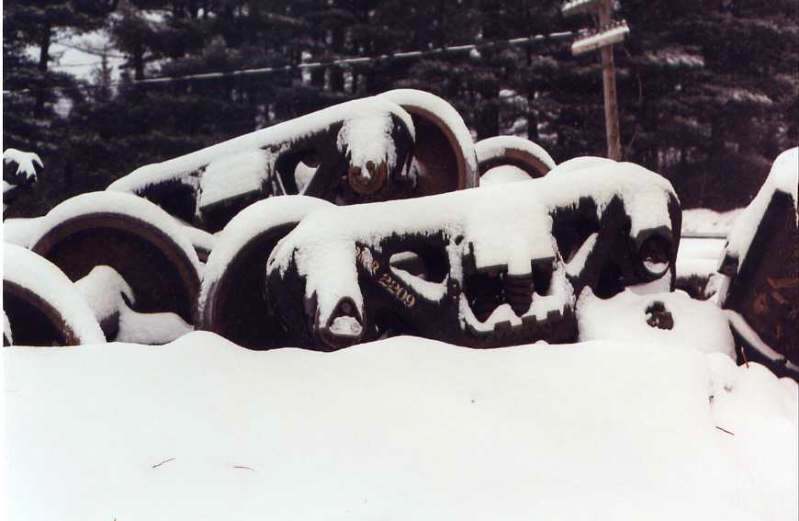 Wheels from the cars get snow covered. 1-04. 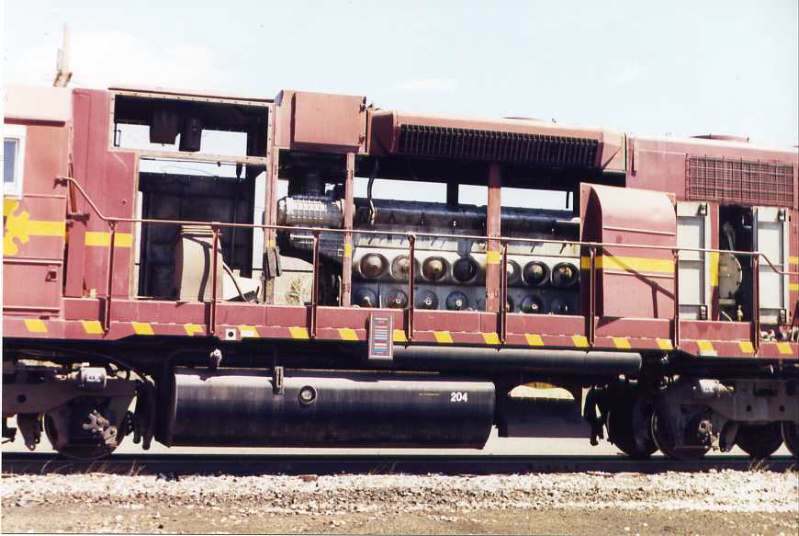 Derailment. A good look at upside down cars that now are junk. 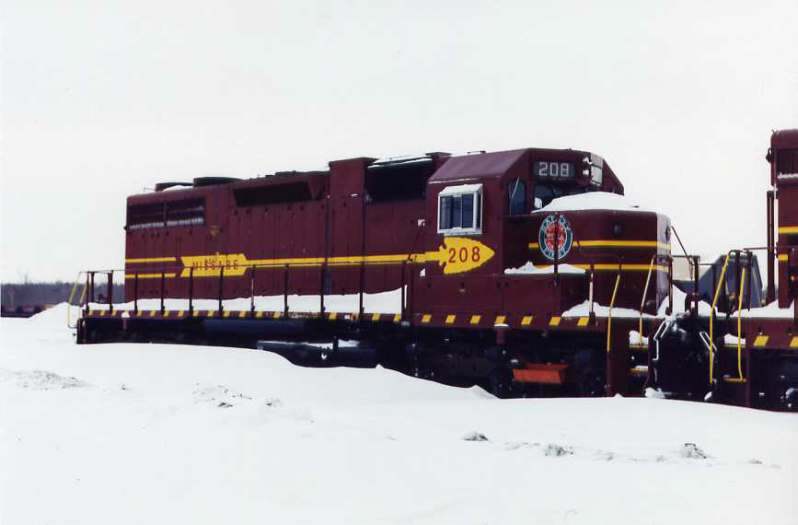 Derailment in the cold 20 below 0 weather. The cars still sit upside down. 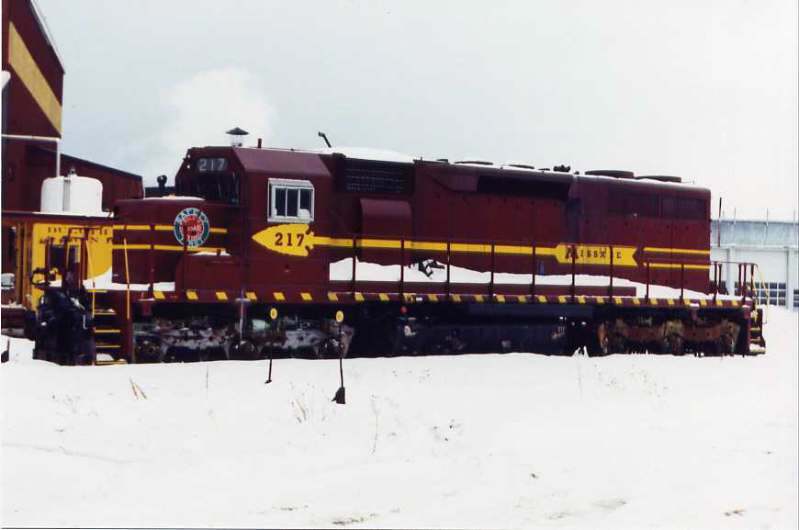 Sd 38-2 211 sits at keenen in the fresh snow. 1-04. DM&IR. closer shot of 204 all apart. 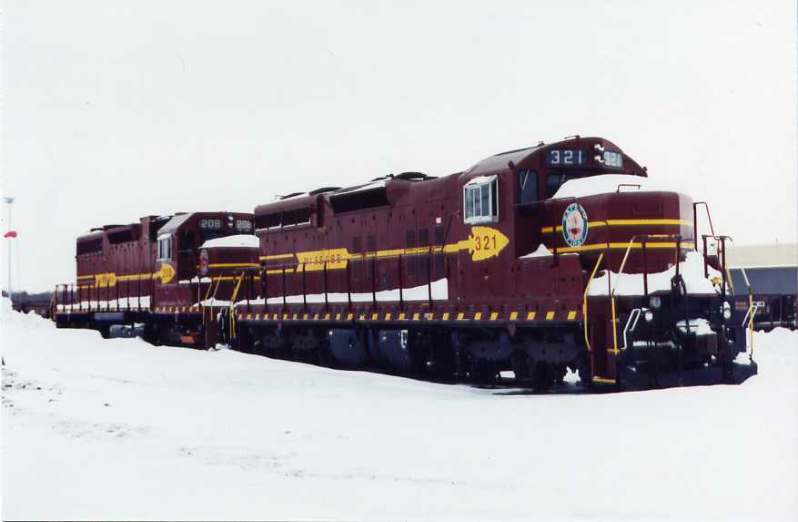 SD 38 & SD 9 321 are snowed in over the winter of 03 & 04. DM&IR 204 all busted to hell. Generator missing. Photo 5-04. 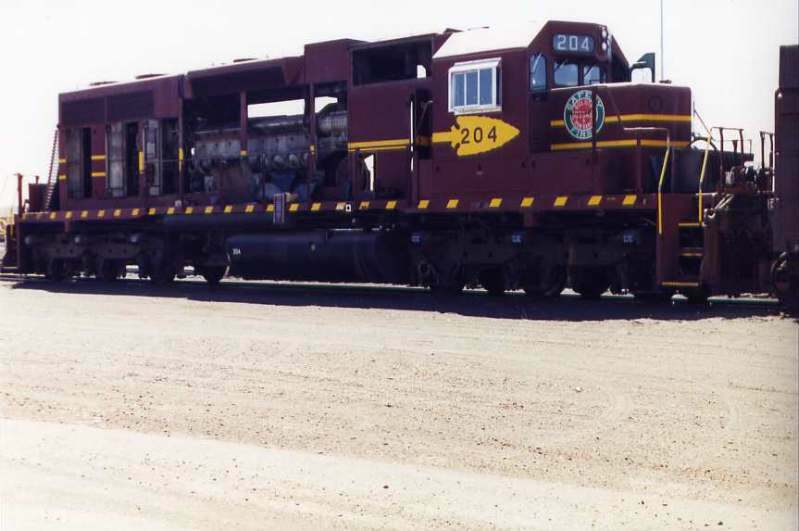 DM&IR cab of 204 looks OK. Photo 5-04. 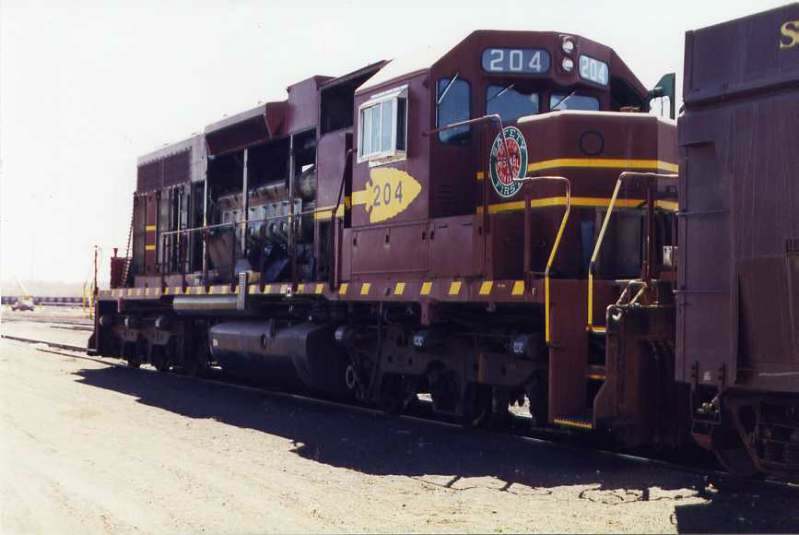 DM&IR 204 will run no more. Photo 5-04.